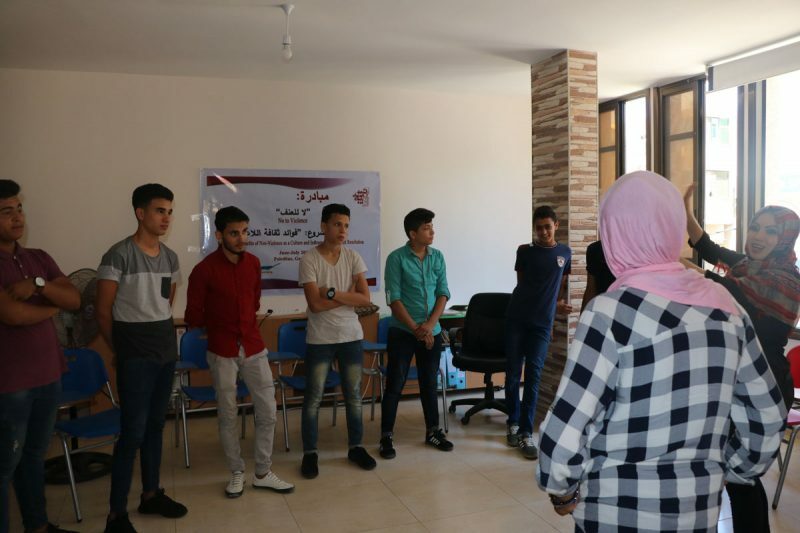 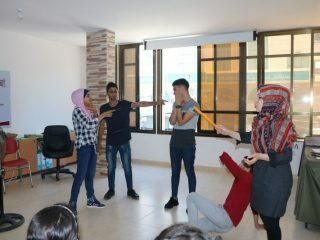 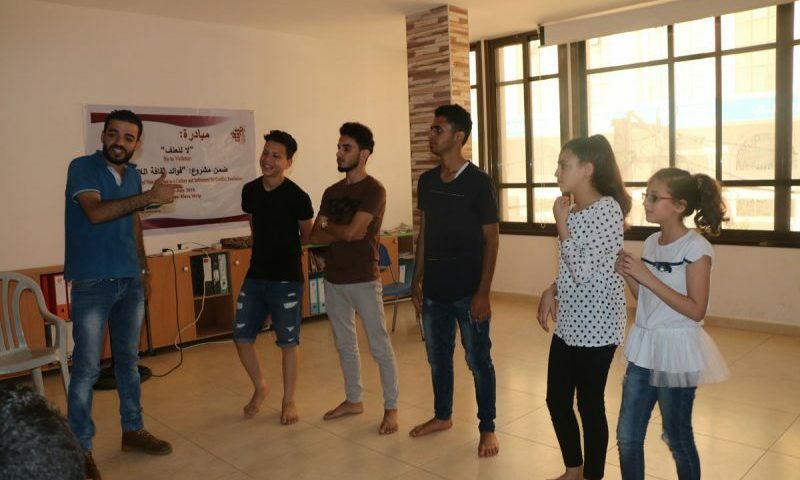 The Association of female university graduates in the Gaza Strip concluded the activities of an initiative entitled “No to Violence” with a silent play entitled “Violence between peers in schools”. 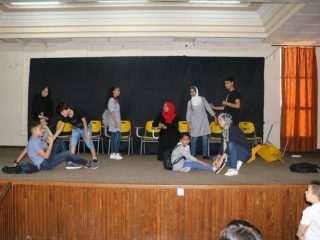 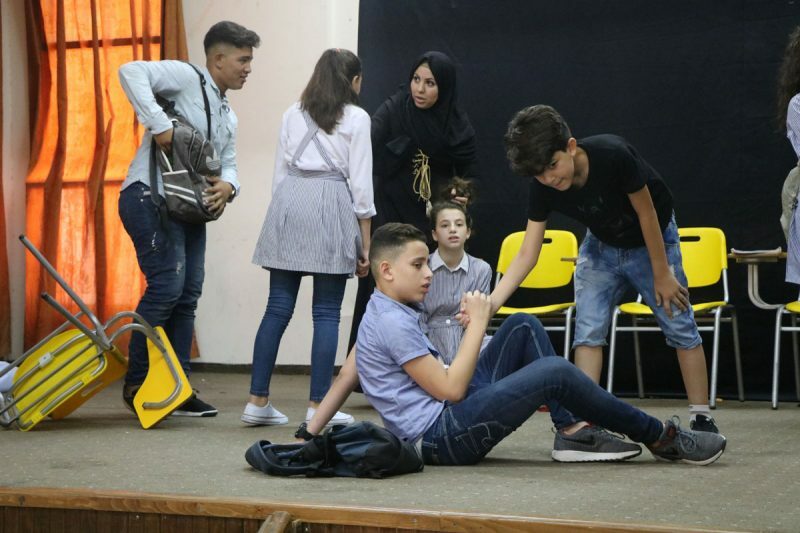 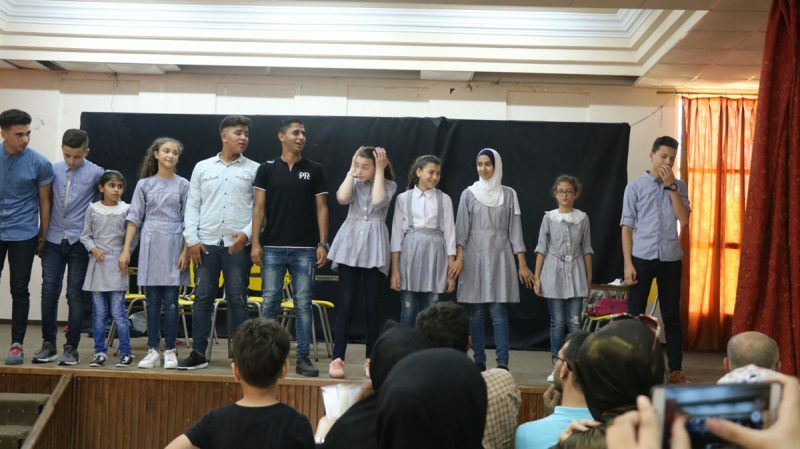 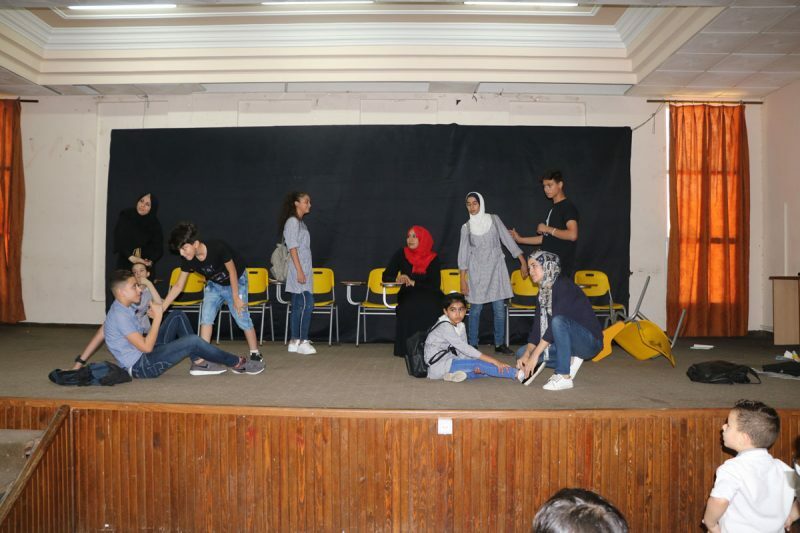 The play has met with great interaction among the audience of adolescents’ families and their peers, and those who are interested in theatrical work and students .The activities of the play began the coordinator of the initiative, Walaa Al Hayek, in which she stated that our lives are beautiful without violence. 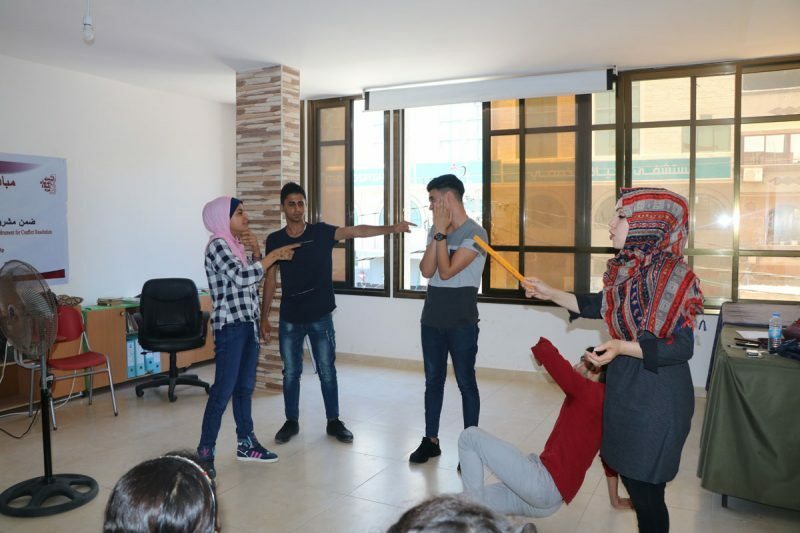 Therefore, violence in many schools must be strongly addressed while some students refuse to go to school due to violence, especially if this is from one student to another in the same school or class. 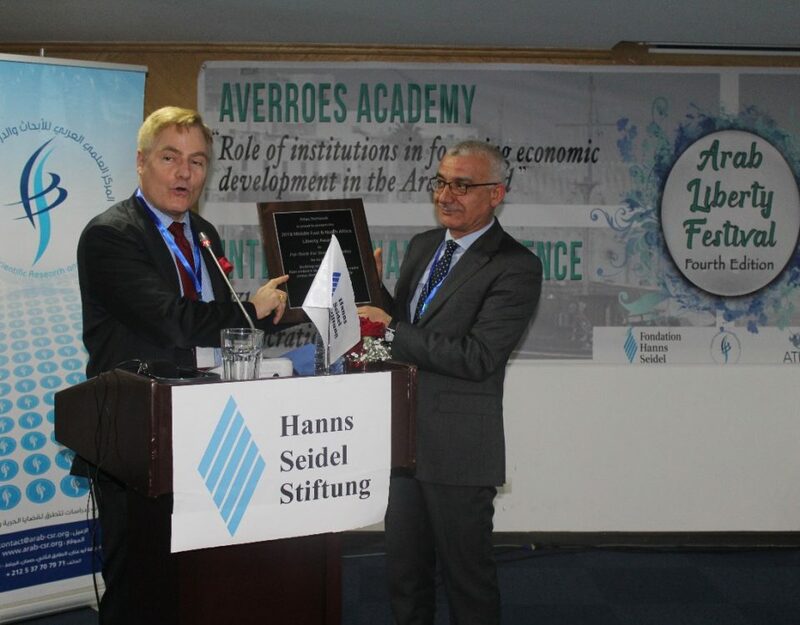 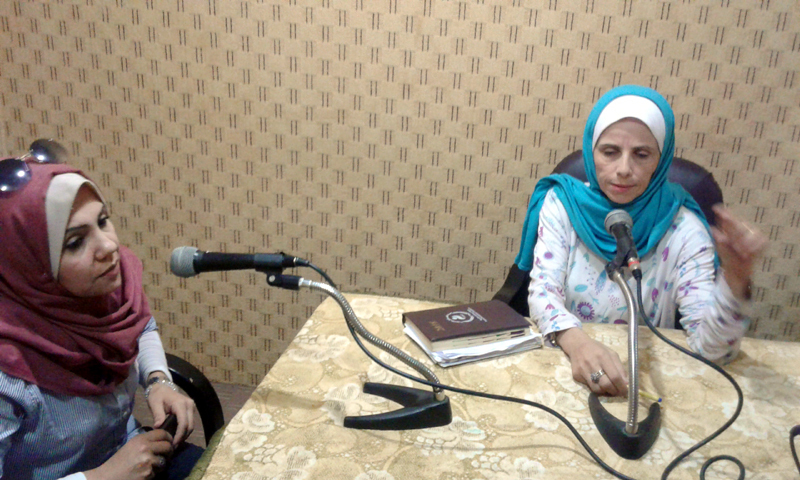 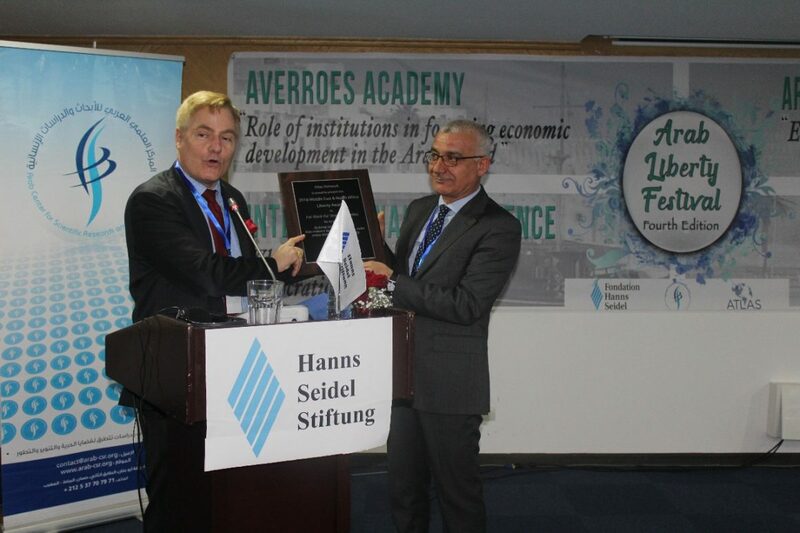 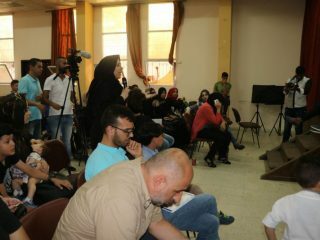 Mrs. Wadad Sourani- director of Association of female university graduates- praised the importance of this cooperation as the initiative comes within the project “The Benefits of Non-Violence as a Culture and Instrument for Conflict Resolution Domestically & Regionally” in cooperation with Pal-Think for Strategic Studies and FXB to promote awareness of nonviolence culture in Palestinian society as a means of resolving internal disputes and conflicts. 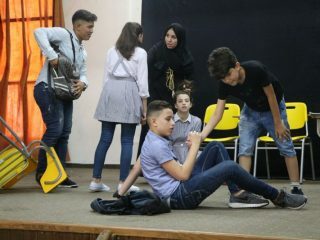 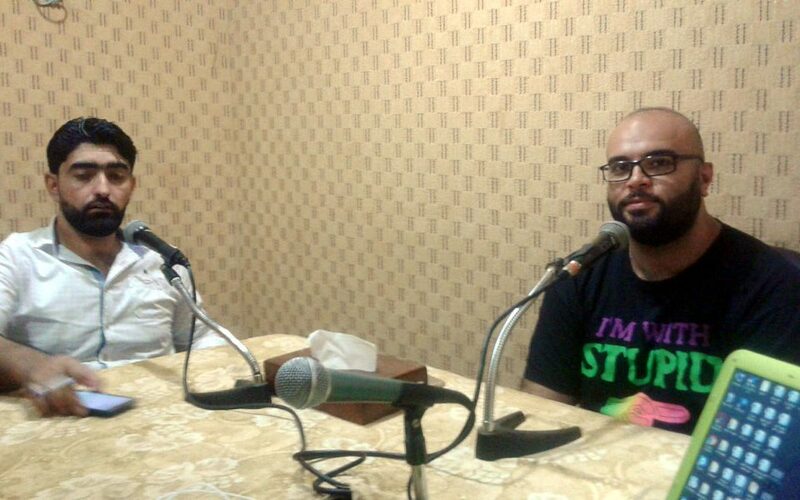 Hana al-Ghoul, the writer of the play, stated that “This initiative sheds light on a serious issue and phenomenon in Palestinian society, which is the phenomenon of violence among peers in schools, and the play reflects this phenomenon and how to reach alternative solutions to violence through dialogue and tolerance. 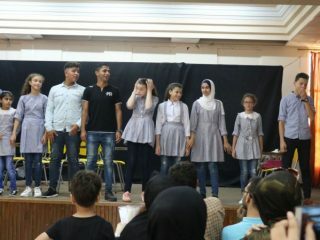 The play was ended with discussion with audience about ways of solving problems, correcting some negative behaviors, and strengthening positive behavior, stressing the importance of spreading the culture of non-violence between the family and the children. 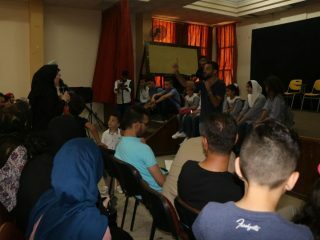 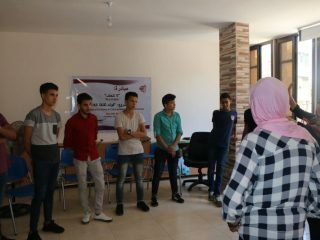 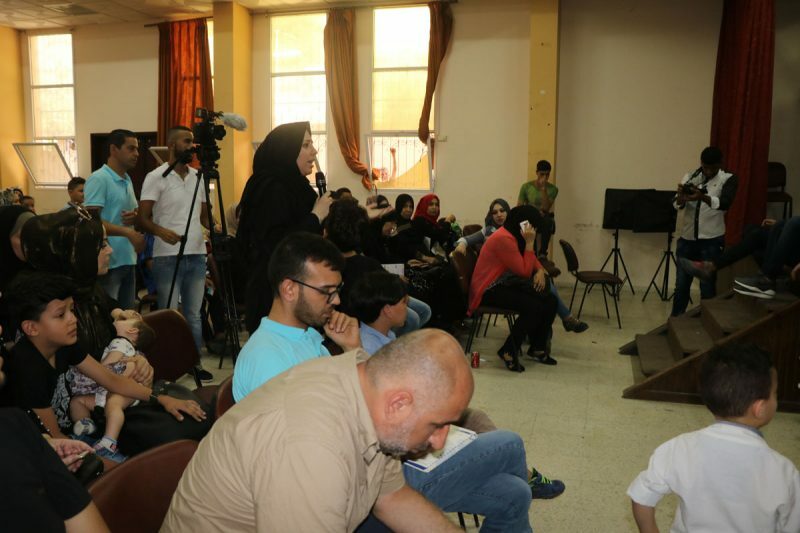 Ms. Anjoud Al-Hisi, the mother of one of the students participating in the play, stressed the importance of tackling the issues of violence, especially in schools, highlighting the civilized methods of dealing with peers and rejecting disputes and conflicts. 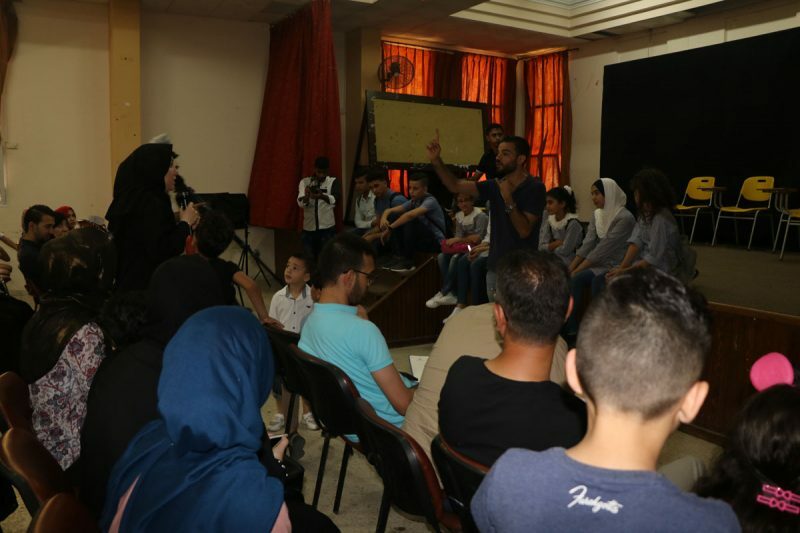 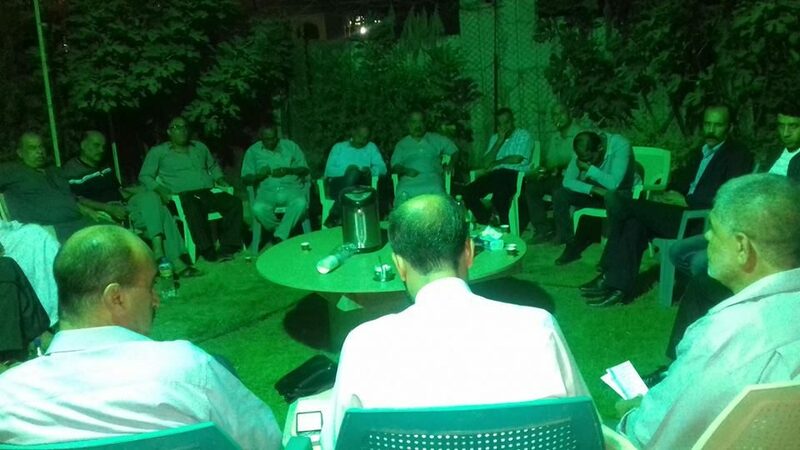 While one of the audiences, a mother, said that she sometimes accompanies her children to school to know their colleagues who beat them and talk with them about the importance of dealing in a dialogue and discussion and not using violence, to prevail love between them.